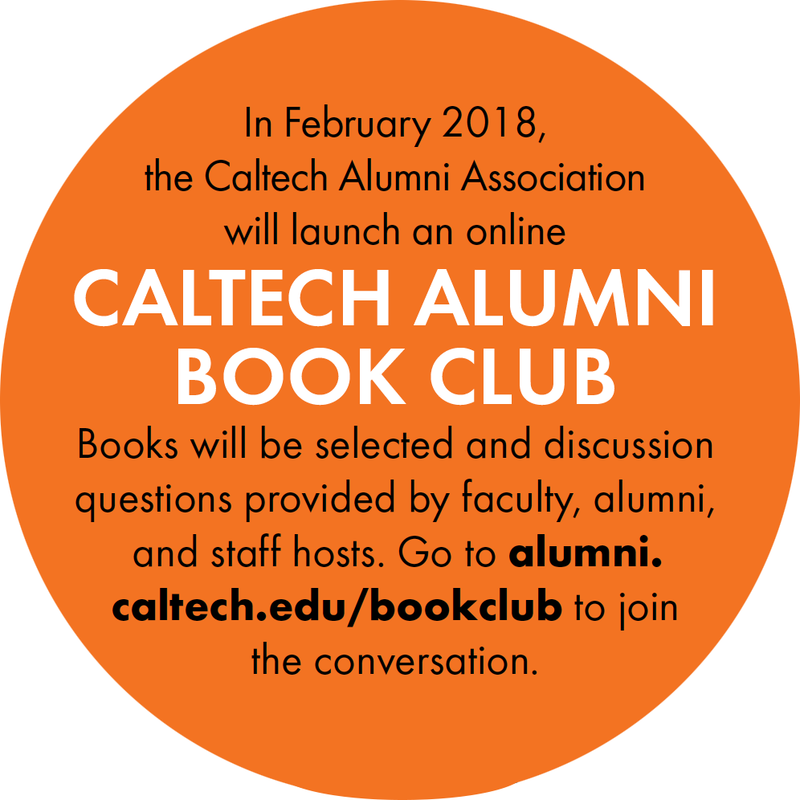 In February 2018, the Caltech Alumni Association will launch an online Caltech Alumni Book Club. Books will be selected and discussion questions provided by faculty, alumni, and staff hosts. Go to alumni.caltech.edu/bookclub to sign up. Chosen by the Undergraduate Deans to be read and discussed by this year's Frosh class during their first weeks on campus, Lab Girl is the exploration of a female scientist's love for her work, as well as the personal and professional obstacles she had to overcome in order to achieve her goals. Thad Williamson covers “sprawl” by examining societal, environmental, and personal preference angles. The book takes a data-driven and philosophical approach from a neutral point of view. It’s useful for understanding the economic and environmental effects of sprawl as well as the motivating forces that drive geospatial planning in America. Science and democracy grew up together. It is no coincidence that many of America’s founders were science geeks. The American freedom to think, to know, to learn, to speak—these were freedoms that the radical Galileo had seized. As far away as you can get from technology: It’s about American letters and its most curmudgeonly practitioner. And it’s by William Manchester, who became a friend of Mencken. As I will see any movie with Meryl Streep, I will read any book by William Manchester. This is a lively and engaging work, carrying the reader, as the best books do, into another world. You don’t read such books so much as you watch them, for the language magically turns to images in the mind. A terrific book about gravity waves, timely and right at home for Techers. A really fine portrayal of the people involved, the human aspect of science. Weber is a particularly striking figure. She also caught the scope of this effort—a work spanning or exceeding a human lifetime like a European cathedral. And brought out the contrast of extremes—the near infinitesimal of interferometry to the energy released in black hole merger. This book was written almost 40 years ago, but it poses very interesting questions about what consciousness is. Now that everyone is talking about artificial intelligence, I think this is very relevant. I know it’s dangerous to recommend sci-fi to this crowd, but I’m going to do it anyway. The philosophical questions explored by the trilogy also transcend that of scientific concepts, reaching sociological ones as well. Although I grew up reading Chinese novels, I actually prefer reading the English translations because of the physics, and they do great justice to the original series. This book tells how people make decisions under different conditions. Although Michael Lewis published a popular description of this work, I felt that Kahneman’s book was a more direct source for this interesting topic. Fresh take on how cool and powerful logical thinking is and how it can drive clear decision making. Really entertaining anecdotes; kept my interest and hopefully yours! Too many people think sea ice is similar to the ice in their drink, but the salinity aspects of the seawater make sea ice much more interesting. As I transition from a nonprofit CEO position, I’m enjoying investigating current technology. One book that I just bought is Building Evolutionary Architectures by my good friend Rebecca Parsons, the CTO of Thoughtworks, and her colleagues, Neal Ford and Patrick Kua. I also love mysteries, and love getting to know a character. Right now, I am reading the Anna Pigeon mysteries by Nevada Barr. These books have the added advantage that they take place in National Parks—another passion of mine. Want to listen to your book via Audible? Click here to purchase a subscription. Affiliate links provided – the Caltech Alumni Association receives a small percentage of the purchase price from books purchased on Amazon.com through links on this page. Shamelessly recommending our own podcast, one hour of science each week. We interview lots of Caltech faculty members, too! While not exactly a podcast, Stanford’s Leonard Susskind’s “The Theoretical Minimum” is a (free) online series that does it for me. Over the last few years, Susskind has created an impressive array of lectures that provide people like me to have a way to slowly (oh so slowly) learn the basics (and the math) and build up toward some of the most exciting developments in theoretical physics. I am continually astonished by the amazing untold stories that I hear on Radiolab. It’s part science, part human interest, and part detective show. I love it.